Google wants to hire more people with skills in computer science, data science and machine learning, and the company is turning to higher education for help fill the pipeline. A pilot program for computer science and data science courses is underway this fall at eight institutions, which have begun offering at least one of two introductory computer science and data science courses geared toward students with little to no experience in the disciplines. The program will expand next year as three of the eight institutions, as well as two others, offer an intensive 10-week machine learning seminar, with enrollment open to students across the country. This initiative is separate from Google's new online certificate program  in entry-level IT, which more than 25 community colleges and Northeastern University are offering for credit. Google declined numerous requests to comment on its goals for the program and the possibility that it will expand further. Each institution told “Inside Digital Learning” a slightly different story about how the partnership came together, but participants generally appear thrilled with the arrangement. Joaquin Carbonara, a professor of mathematics at SUNY Buffalo State , first encountered the company at a Google for High School event this spring. A company representative mentioned during a session that Google was looking to work with colleges and universities, so Carbonara followed up. Carbonara had been trying with little success to develop a data science and analytics curriculum for the institution’s computer science department. Google offered to take care of that work for him. The company was particularly keen on reaching minority students, according to Carbonara. This fall Carbonara is offering one section with 20 students. Multiple sections of the same course will be offered at Buffalo State next spring, as will a section of the second Google course. The only challenge so far, Carbonara said, was attracting students to the newly conceived course after fall registration had already ended. But interest was high anyway. Instructors at the eight participating institutions have kept in touch on a Slack chain that’s active “seven days a week,” according to Carbonara. They share videos and activities and help address tricky student concerns. Other institutions got a head start. Google first reached Heidelberg University in Ohio through its provost’s office in late fall last year, according to Sean Joyce, an assistant professor of computer science. The institution has a long-standing computer science program but has been looking to attract students who aren’t interested in the major but might benefit from the relevant skills. Heidelberg first offered the introductory computer science course this spring. Joyce handed off notes to Google that helped the company reshape the course as it expanded the pilot to more institutions. Joyce’s biggest piece of feedback, he said, was to not make the class “entirely flipped,” as some students said they preferred having some help from the instructor as they were learning the material, rather than doing most of that work on their own time. The tweaked version of the course, according to Joyce, also requires that students have less background knowledge on statistics. Heidelberg will offer the intensive course next summer. Details are still being finalized, Joyce said, but the goal is for students to experience a crash course in machine learning 8 a.m. to 5 p.m. Monday through Friday over 10 weeks. At all participating institutions, the machine learning intensive course will be worth nine credit hours, according to this webpage . Google will cover the cost of students’ tuition, room and board, but students will be responsible for travel to and from the intensive course. Students from across the country, whether attending Heidelberg or not, can apply now to attend the course, provided they have taken two semesters of computer science or data science courses and one semester of applied statistics. At Heidelberg, one of the university’s instructors will lead the course with assistance from a Google representative assigned to the institution, according to Joyce. The connection with Google was more organic at Mills College , a women's-only institution in the San Francisco Bay area. A Mills alum, Kim Roberts, works at Google and is involved with several institutions on this project. She conveyed to Mills staff “within the last couple months” that she wanted the institution to take part, according to Julia Chinyere Oparah, Mills’s provost and dean of the faculty. The institution already offers introductory computer science and data science courses but will offer the machine learning intensive course next spring. Oparah said she wasn’t aware that Mills would be the only one of the five participating institutions to offer the machine learning course in the spring rather than the summer. She's since found out that Google plans to use the outcomes from the Mills course to make tweaks for the other four courses this summer. The pilot program isn’t done growing. Google has opened applications through Dec. 19 for other institutions that want to offer the introductory courses. The company will give priority consideration to institutions that either don’t have a computer science program or that need to scale their at-capacity computer science program to reach more students, according to this webpage . The company pays for the curriculum and course materials; institutions are responsible for faculty salaries as well as travel expenses for instructors attending Google training sessions. Institutions without a dedicated computer science instructor can assign a “STEM-adjacent” professor without hassle, the webpage says. 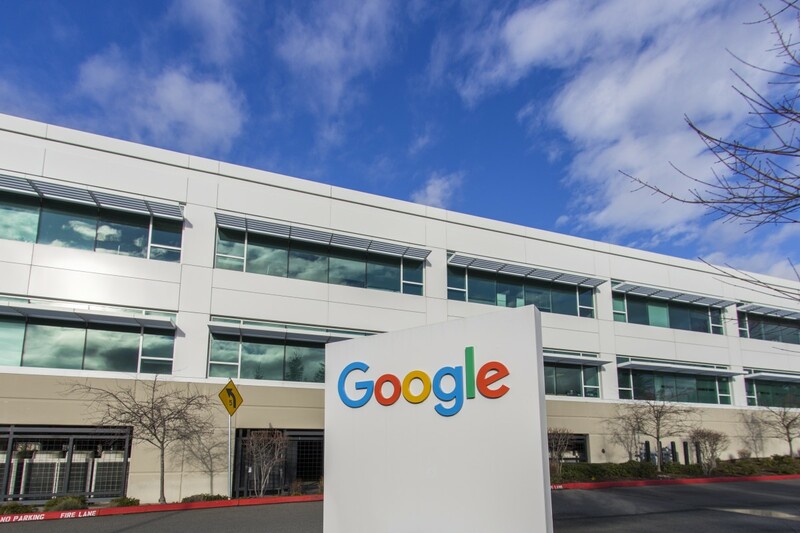 Google plans to notify winning institutions by Jan. 20 that they’ve been approved to host its introductory courses. Applications will eventually open at an unspecified date for institutions that want to offer the machine learning seminar in summer 2020, according to the webpage.